Nothing says comfort food like pizza, even at its most elementary. But the satisfaction runs far deeper when your pie is made with quality toppings and cooked with an artisan’s touch in a wood-fired oven. At Guerrero you get all that and plenty more. Just a short stroll from Shimokitazawa Station, away from the bars and the student hangouts, Guerrero is a no-frills place with simple decor, basic furniture and a great soundtrack that runs the gamut from indie to Afrobeat. The drinks list is devoted to obscure but mostly tasty natural wines and the prices are as honest as the gun-metal gray oven — starting at just ¥700 for a simple Marinara. Before you order, though, be sure to scan the handwritten menu of daily specials. 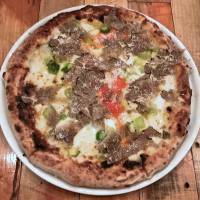 Underneath the tempting Italian side dishes — salads, seafood fritters and maybe even polenta with wild boar ragu — you will find the pizza of the day. 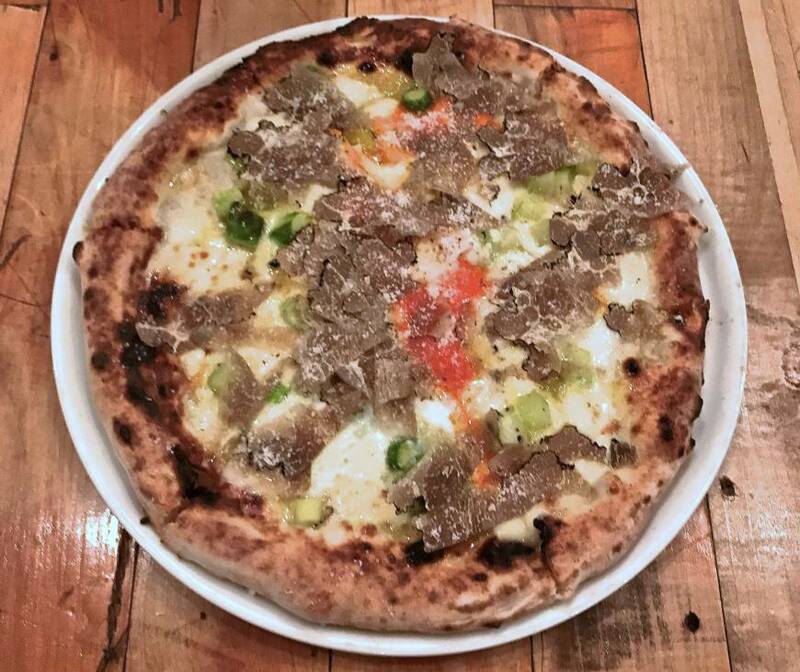 If you’re in luck and the ingredients are in season, it may be the Bismarck with black truffles, asparagus, egg and mozzarella (¥2,200). Guerrero makes comfort food worthy of the angels. 11:30 a.m.-2 p.m.; 6-11 p.m.